I really really wanted to get some done, but I didn't get to. What I did get to do was experiment a bit in polymer clay. These beads were made using the "salt method". You roll the polymer in salt (not the super fine salt but a little bit bigger grain) and then bake it. When they are done baking, you rinse them off and the salt melts, and you get this impression in the clay that makes them look like seed pods! The top bead is just a pretty orange/ochre color that I highlighted with bronze gilders paste. The bottom ones are made with a mica-y looking clay, and highlighted as well. I made a pile of "pod" shaped beads, impressed them with a plastic knife, and baked them. Then I used Burnt Umber Genesis accent medium, and quickly baked them again! I sanded the extra umber color off, then started experimenting with all my different coloring mediums. I used chalks, wax crayons, alcohol inks, acrylic paint, gilder's paste and a Martha Stewart Glaze I picked up a long time ago at Home Depot. In terms of the pods, this one above is my favorite! It reminds me of some sort of sea pod. Then I made this pendant-style pod, literally using every single one of the above listed coloring elements! As you can see, I favored a certain color scheme. My next polymer clay adventure will be to try different colors - I really enjoy mixing colors for a certain effect, so I think I'll continue to explore that! One last "fantasy" pod that I tried to experiment with - I was going for a sort of magnolia type pod look, not sure that I nailed it, but I'll keep trying! I hope you enjoyed our theme this month, and please check out what everyone else made. Thanks Jen for a great theme to work with this month! I took a polymer clay course and we did the texturing with sea salt, works great :) Your coloring experiments are fascinating, I haven't played with polymer clay on my own but I will take a note of the many coloring possibilities! 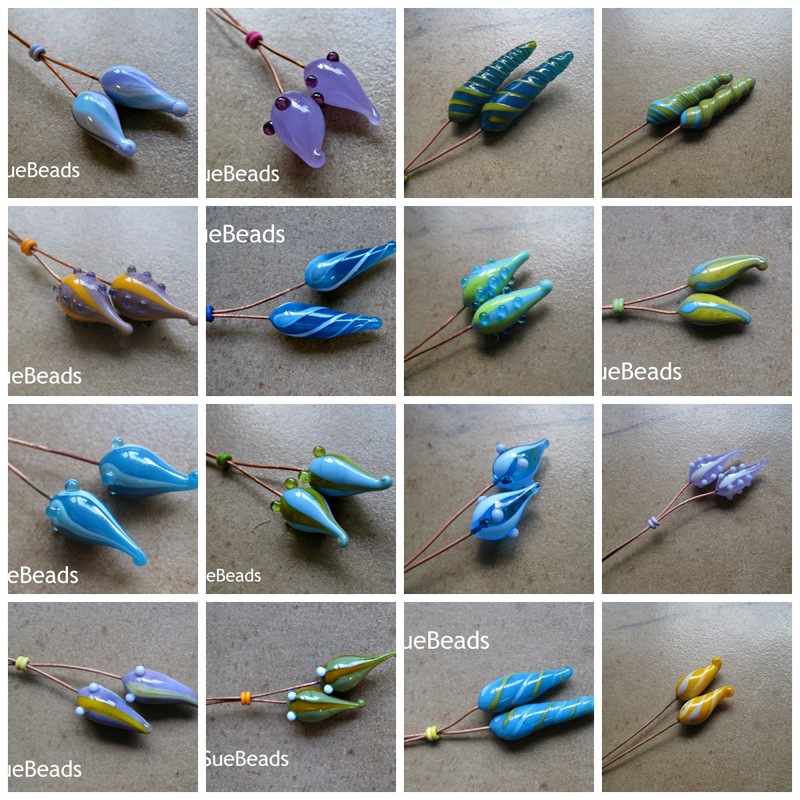 Your lampwork headpins are gorgeous but the polymer clay pods are very beautiful as well! What a great mix of pods! I love all the structures, shapes and surfaces! I love your polymer seed pods! I am amazed at the colors and methods you used to bring them to life. Beautiful!! I LOVE seeing all of your process and your finished pods are gorgeous. I really like the shifting colors you were able to achieve. Even your fantasy pod is beautiful!! Thanks for sharing your work. Those turned out fantastic! I love that you used a plastic knife for the texture. Very fun! The colors look amazing. I especially love them with the burnt umber with extra sanded off. 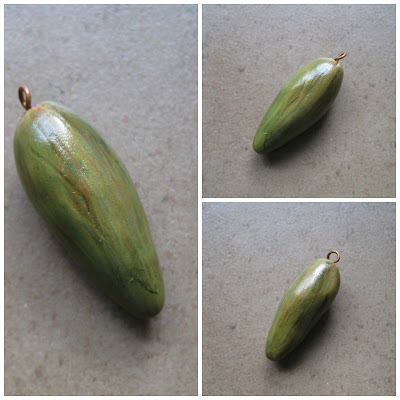 I love your polymer clay pods. I think the idea of using a plastic knife in the design is brilliant. I appreciate your details. I may just try to make some myself. Now I love those pods!! The ones you have created with the plastic knife and the colour combinations you have achieved... stunning! Gotta love that last fantasy pod. And the knife used as a texture tool! Never would have thought of that! Anyway, they all came out awesome, no matter the medium or the color. Sue you got some really delicious colors there. I like the striped one - maybe colored pencil? All of your pods are wonderful. 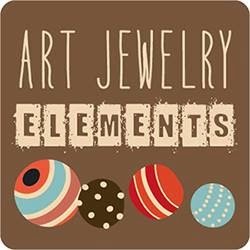 I've long admired your glass work and you are equally talented with polymer clay. I especially love that you used *all* the pigments types to color your polymer beads. They have such great depth. They're stunning Sue... love the colours you've chosen!